American influence of true quality, timeless style and sophistication. With The Cleveland at $532,220, our new home designers have delivered a luxury double storey home that demonstrates spacious living areas and exceptional features throughout. 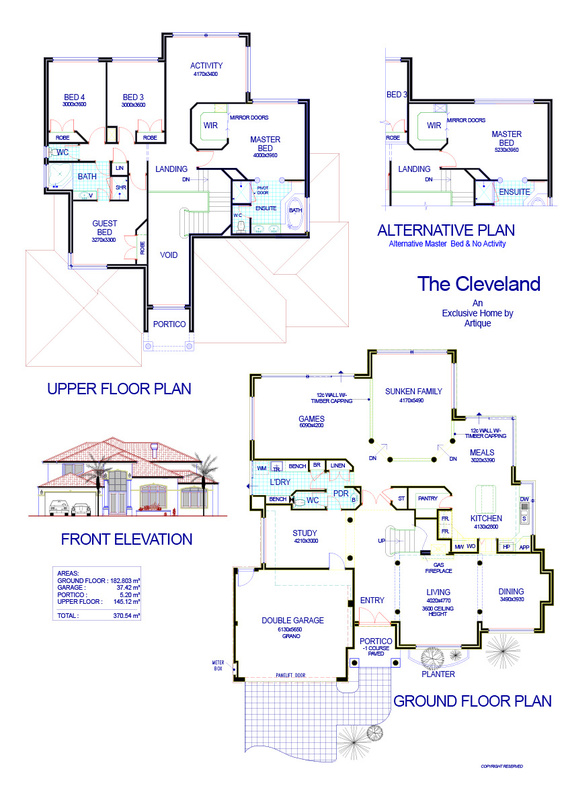 This new home design combines attention to detail with superior workmanship, the exact qualities upon which Artique’s exemplary reputation has been built. This home introduces the epitome of West Coast Californian sophistication, stunningly suited to our lifestyle with superb presentation and style. From the magnificent portico entrance with sandstone style columns to the grandeur of the hall and living and dining rooms it is clear that this magnificent new home offers abundant features. The Cordon Bleu kitchen sets a new standard that any chef would relish with a central work station, an abundance of storage cabinets and large walk in pantry. The timber staircase take you to the second storey and creates a central feature to this luxury home. Be led to the penthouse style master suite with a beautiful oval spa bath. A guest room with semi-ensuite is one of three large bedrooms that are separated from the parents area by an upper floor activity area to the rear of the home. Be the envy of your neighbourhood with the unsurpassed quality and design of The Cleveland by Artique’s designers and craftsmen. 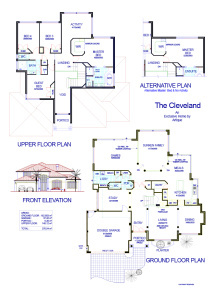 Optional plan layouts and elevational styles are available.